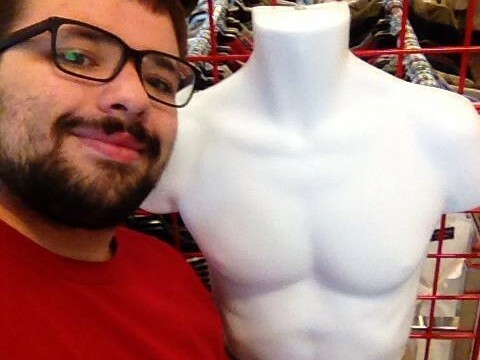 It’s the first or second weekend of a month, so you know what that means. 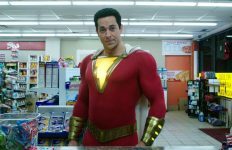 It’s time for a superhero movie tentpole and this time around it was Shazam!, which opened to $53 million. 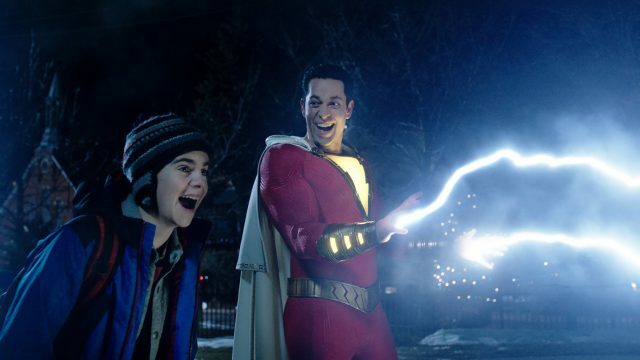 That’s the lowest-grossing opening weekend for a live-action movie based on either a Marvel Comics or DC Comics property since Fantastic Four/Fant4stic in August 2015, but luckily, Shazam! only cost $90-100 million to make, significantly less than the usual comic book movie (Aquaman cost $200 million, for example), so it didn’t need to bring home a massive Avengers: Infinity War-sized opening to be successful. I’m sure Warner Bros./New Line Cinema would have loved to see this one burst right past expectations with a massive $80+ million bow because people love money, but on its own merits, this is actually a solid haul and right in line with the opening weekends of other fellow family-friendly superhero fare like the $53 million bow of The LEGO Batman Movie, the $56.2 million debut of Big Hero 6 and the $57.2 million bow of the original Ant-Man. It’s also the ninth-biggest opening weekend ever for an April release and the thirteenth biggest movie ever released by New Line Cinema. If Shazam! plays like Rampage, the last Warner Bros./New Line Cinema blockbuster released in April just before an Avengers movie, in the weeks ahead, it’ll finish its domestic run with $160 million. The bad news for Pet Semetary was that it wasn’t quite the massive horror box office overperformer many (myself included) thought it could be. Not every horror movie is gonna be the next A Quiet Place or Us at the domestic box office though and Pet Semetary still fared quite well all things considered. 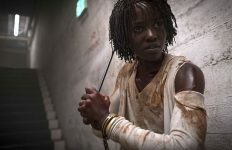 Grossing $25 million this weekend on a $21 million budget, that’s the eleventh biggest opening weekend for a horror movie remake, the second-biggest opening weekend for a movie based on Stephen King material and the third-biggest opening weekend Paramount Pictures has had in the past sixteen months. Sometimes dead is better, but Paramount Pictures did find some box office success bringing life back into Pet Semetary this weekend. 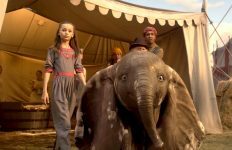 Dumbo’s disappointing opening weekend doesn’t seem to be a fluke in its domestic box office performance as the family feature dropped 60% this weekend, a much-bigger than usual drop for one of these live-action Disney remakes. For instance, Beauty and the Beast and Cinderella both dropped only 48% in their second frames despite having much bigger opening weekends than Dumbo. Taking in another $18 million, Dumbo has now grossed only $76 million after ten days of release. The arrival of Pet Semetary sent Us falling 58% and grossing another $13.8 million for a domestic gross of $152.3 million. 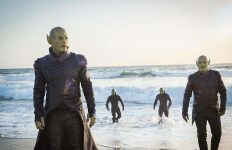 Meanwhile, the arrival of a new superhero movie didn’t seem to faze Captain Marvel all that much as it dropped another 40% for a fifth-weekend haul of $12.6 million for a domestic total of $374 million. It’s very much worth noting that Captian Marvel soared past the $1 billion mark at the worldwide box office this past week, becoming the first live-action movie directed by a woman to cross $1 billion worldwide. There really was just non-stop bad news for The Best of Enemies this weekend as it grossed only $4.5 million, the third-worst wide release opening weekend ever for STX Films and the worst wide release opening weekend ever for Taraji P. Henson. Despite the presence of Henson and recent Oscar winner Sam Rockwell, the marketing for The Best of Enemies was thoroughly generic and it never garnered the kind of critical acclaim or awards attention that help adult-skewing dramas stand out in the marketplace. Costing only $10 million to make, at least this won’t be a massive money loser for STX Films, a studio that’s likely hoping that it can get better than this when it comes to the box office performance of their other 2019 titles. Five Feet Apart had its biggest weekend-to-weekend decline yet, but it still dropped only 40% to gross another $3.7 million for a domestic total of $41.5 million. Unplanned added 457 theaters to its location count this weekend, a nearly 50% increase from its previous theater count though it didn’t seem to help its box office performance since it fell 50% this weekend. Grossing another $3.2 million, Unplanned has now grossed $12.4 million. Having an even steeper drop this weekend was Wonder Park, which plummeted 59% to gross $2 million for a $41.9 million domestic total. Rounding out the top ten was How to Train Your Dragon: The Hidden World, which fell 54% for a seventh-weekend gross of $1.9 million and a domestic total of $156.6 million. In its second weekend of release, The Beach Bum fell a sharp 72% to gross another $494,000 for a dismal domestic performance of only $3 million while the third wide release weekend of Gloria Bell saw it grossing only $390,000 from 642 locations for a poor per-theater average of $607 and a $5 million domestic total. The last pre-Disney Fox Searchlight title, The Aftermath, expanded into 344 locations and grossed $375,000 for a per-theater average of $1,090 and a domestic total of $1.1 million. The newest Emilio Estevez directorial effort, The Public, grossed $270,000 from 265 locations, for a $1,018 per-theater average. That’s not an especially fantastic debut, but it is the biggest opening weekend ever for Greenwhich, a studio Universal uses to theatrically release indie movies it plans to primarily make money off of through video-on-demand revenue. The newest Clare Denis directorial effort, High Life, opened to $100,000 in four locations for a per-theater average of $25,000. Compared to past A24 releases, that’s just below the $104,030 debut of A Ghost Story and just above the $97,562 debut of First Reformed. Peterloo finally made its theatrical debut this weekend but grossed only $30,000 for a per-theater average of $10,000 while The Jai Courtney/Geoffrey Rush vehicle Storm Boy grossed $46,744 from 56 locations for a disastrous $835 per-theater average. No word yet on how the NEON Aretha Franklin documentary Amazing Grace performed on its opening weekend. The top 12 movies this weekend grossed a total of $141.5 million, the sixth biggest weekend for this time of the year, but down 5% from this same weekend last year when A Quiet Place kicked off its box office run.